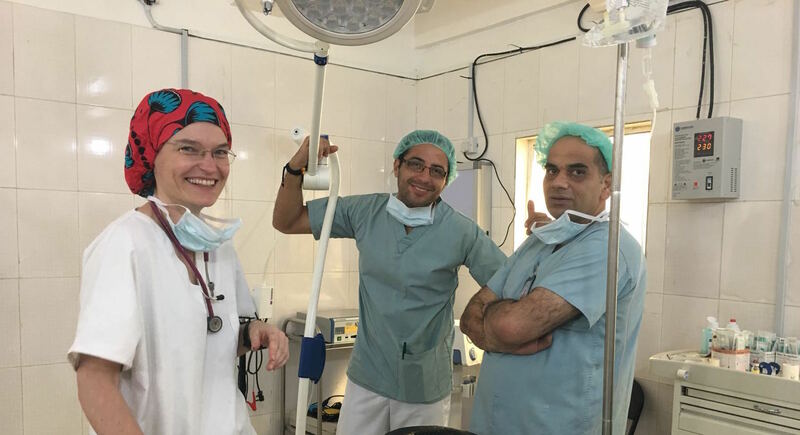 Would you like to know what it is like working for the ICRC in the field? Read Impactpool’s interesting interview with Pietro Tilli, a former policeman who is making a difference as Regional Delegate to Police and Security Forces, at the ICRC in the Lake Chad Region in Africa. Mr Pietro Tilli, your position at the ICRC is Regional Delegate to Police and Security Forces in Lake Chad Region. Can you please explain what is your job description? Pietro: The role I cover is called Delegate to the Police and Security Forces which is normally given to former members of either the armed forces or law enforcement agencies. We are around 60 delegates within the ICRC who have the main goal to promote the dialogue with arms-bearers. When we speak about arms bearers, we are talking about the armies of the countries where the ICRC operates, or the law enforcement agencies, the police, and sometimes the state security services that have law enforcement functions. Therefore, the ICRC hires former members of law enforcement agencies and armies because the ICRC believes that someone who has been on the other side of the wall, so to speak, can better understand the problems. The core mandate of the ICRC is to assist victims of armed conflict. ICRC is also the guardian of international humanitarian law. But in an extended version, we also assist victims of other situations of violence, or situations don’t reach the threshold of an armed conflict. Can you give an example of a situation where your skills are needed? Pietro:Besides the conflict in the North-East, Nigeria is also basically affected, I would say, by other situations of violence. It’s very intense in the middle belt and in the south-south, where the main response is given by the law enforcement agencies together, and in some cases, in cooperation with the army. But this is the specific case of Nigeria. In this context, I promote the respect for International Humanitarian Law and the application of International Human Rights Law to the police function. 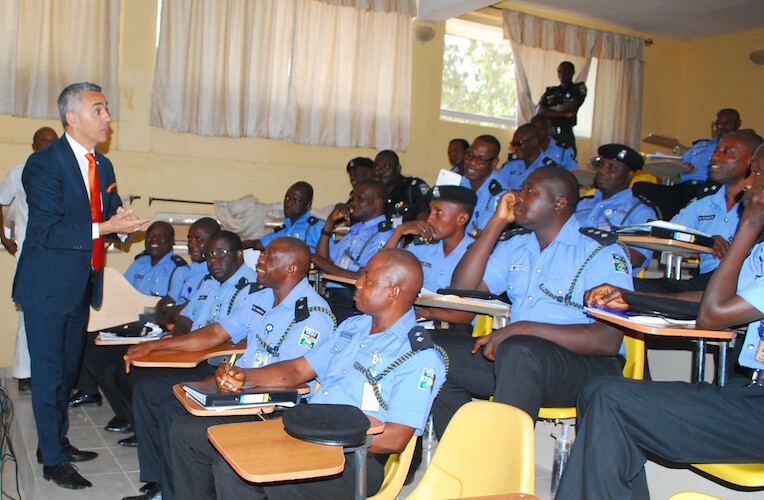 In order to promote the respect of the law and procedures through the law enforcement agencies, it is necessary to ensure a good mutual understanding, in terms of mandate and work modality. So that is where my role comes in: as a liaison between the ICRC Delegations in Nigeria and Niger, and the law enforcement agencies of the two countries. What is your background and how did you end up in that role? Pietro: I was part of the “Arma dei Carabinieri (an Italian police force with military status ) for 20 years in Italy. I also have a degree in Political Science and a specialisation in International Relations. The ICRC is constantly recruiting (former) officers of Police in order to have an operational understanding of the law enforcement agencies and increase its cooperation with them, to promote the humanitarian principles and the mentioned respect of basic judicial guarantees. And what kind of police officer were you? Why did you want to work for the International Committee of the Red Cross (ICRC)? Pietro: Well, when I started my international career I was still a member of Carabinieri, posted at the Italian embassy in Pakistan. While I was still working for the Italian Ministry of Foreign Affairs, I met an ICRC staff member and got the impression that they had a pragmatic approach to humanitarian response. It looked to me from the outside that they were basically trying to get things done In a very proactive way and every time there was an emergency, or crisis, the ICRC would basically go in there and try to do what is needed. That’s how I got fascinated and interested to work for the ICRC. And what was your entry point in the humanitarian sector? Did you start working in Pakistan? Pietro: Yes. Initially, I did a few consultancies for the IOM (International Organization for Migration) when I decided to leave my previous career in order to start a new chapter, in both a personal and professional way. I passed on from having a very stable and reassuring setup in my own country to live abroad in an unstable ever-changing environment. My job was to analyse the security situation of the context as well as to promote best practices for international organizations when dealing with arms bearers when going to the field for example, Something between security analysis and security advice. My first humanitarian job was with the ICRC which started three years ago. It was a further step towards the meaningful work experience that I was looking for, with the opportunity to put my experiences in security and law enforcement at the service of those in need of protection and assistance. That sounds great. What would you consider as your biggest reward during your career in this area? Pietro: I have different moments. I cannot tell you one specific moment because every time is different. The reward for me is every time I have a direct impact on the beneficiaries of the humanitarian actions, who are the victims of war and other situations of violence. That is a magical moment. I guess you face a lot of challenges as well? Working in the humanitarian environment and working with these issues. Is there anything specific that comes to your mind that has caused struggles for you or the ICRC? Pietro The challenges, when you go to the field, are often environmental challenges. The need to ensure a humanitarian response in conflict and problematic areas with the necessity to stay safe can be challenging, although the ICRC pays extreme attention to this aspect. Also, to witness people suffering from various humanitarian crisis can be emotionally challenging and requires a high level of self-awareness, mental strength, and personal balance. You told me you are a regional delegate; can you tell me something more about your region? What parts of Africa and Nigeria are we talking about? Pietro: The region that I cover is around Lake Chad When I started, it was the 4 countries (Nigeria, Cameroon, Chad, and Niger). I Now, I am in charge of Nigeria and Niger. The dynamics that I cover are related to the Lake Chad region, the region that has suffered from Boko Haram. Are there any specific personality traits that are crucial for your work? Any coping mechanisms that you can share with others that are also interested in working in hardship locations? Additionally, a good level of cultural understanding is very important, because it allows you to analyse the operational scenarios in which you are working from a “contextualized” perspective. Also, it is always important to be able to control emotions and keep a pragmatic, “cold” approach to the different issues so to maximize your efficiency and provide your best when helping the others. 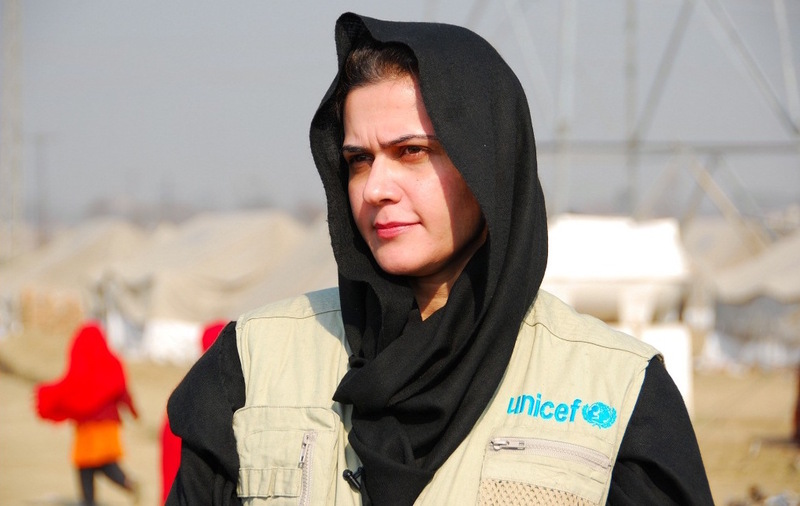 Do you have any advice to give to anyone interested in working in the humanitarian sector? Pietro: An advice from me to enter this field of work is simple: be pro-active. Look pro-actively on the ICRC website. 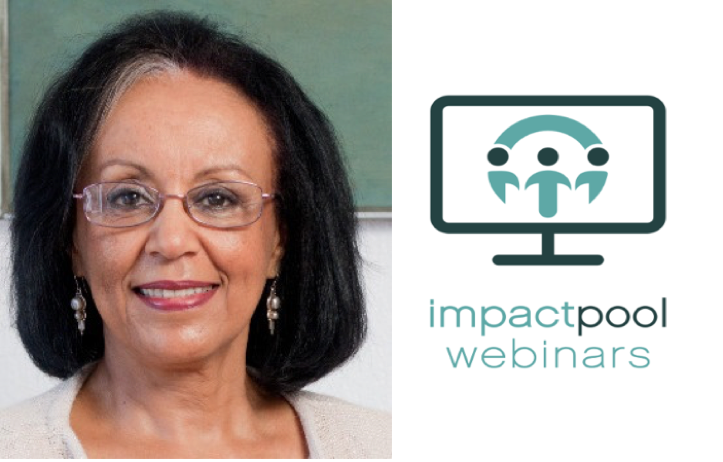 Take part in webinars and coaching sessions on the Impactpool website. During the years that I’ve been working for the ICRC, I saw a growing effort in terms of talent-scouting by the organization. And I believe that whoever has a certain set of skills and really wants to do this kind of job in this organization, has good chances as long as she/ he really puts an effort in the job hunting. That’s as simple as it is. The moment you put your cv out there and proactively start looking for jobs you can’t fail, honestly. Is it possible to bring your family to field missions? Pietro: Yes. In this regard, the policy of the organization is very transparent. However, this ‘unaccompanied’ period in the field is very useful and will help you to understand the operational context and the working modality of the organization. And after this period, the organization normally allows you to bring your family. All right, is there anything else you’d like to add to your current role that we haven’t spoken about yet? Pietro: I’d like to explain more how the ICRC creates reciprocal understanding. What we do is have meetings with the authorities and law enforcement agencies. We also provide capacity building. The specific role of the so-called delegate to the police and security forces (in its French acronym FAS-PGE Delegate, which stands for Forces Armées et de Securité-Police et Gendarmerie) has among its tasks the capacity building support through training to the law enforcement agencies of the country in which the ICRC delegation is present.The training are normally on police topics, arrest and detention modality, promotion of international human rights law applied to the police functions, public order management, and the use of force and firearms) We also train trainers on these topics; they then normally provide internal capacity building to their commands increasing the promotion of our humanitarian principles. . So: meetings and training sessions and also reporting. What we also do is support other departments of the ICRC. For example: in the delegation, especially the big delegations like the one here in Abuja, Nigeria, have many specific departments. Every time one of these departments needs the analytical insight of the police and law enforcement activities, they normally rely on us. If there is any interaction, in any of the activities with the law enforcement, we help them. We are an internal support to these departments in order to have an impact on the beneficiaries.